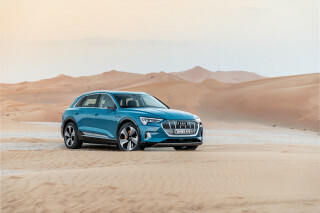 If the ideal electric car has a real-world range of 100 miles or more and the practical utility that American families buy crossovers for, the future may be arriving this year. 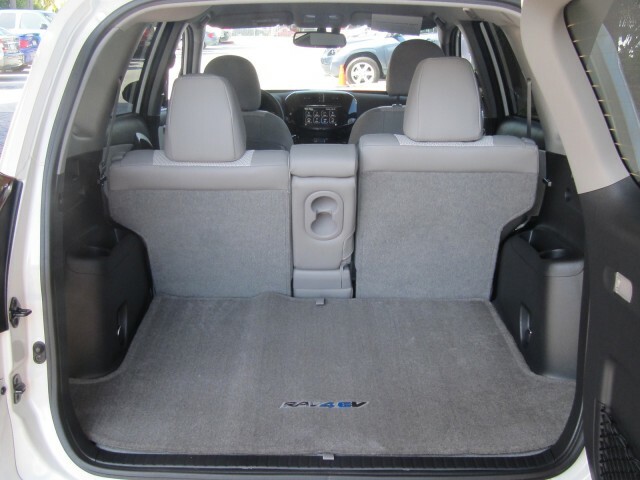 The 2012 Toyota RAV4 EV has every bit of space that the gasoline versions do. 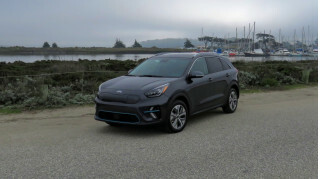 Its Tesla-engineered battery pack and electric motor give it better performance than the RAV4's most powerful V-6 version, plus a real-world range of 100 or more miles (depending on how you use the climate control). It's too bad that the RAV4 EV will only be sold in California as a "compliance car," in a limited run of just 2,600 over the next three model years. In other words, even if you want one--and have the price of $49,800--you may not be able to buy one. As electric-car advocates may remember, this is actually the second RAV4 EV. 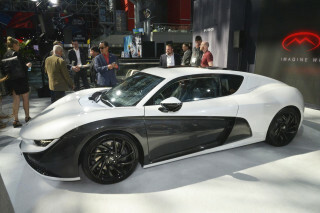 The first one was built a decade ago to comply with earlier California zero-emission vehicle mandates that were subsequently changed, so Toyota stopped building them. There are still almost 500 of the 2002 Toyota RAV4 EVs running around California--we drove one a couple of years ago--and their owners have been waiting eagerly for the new 2012 model. 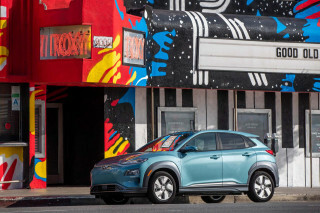 Developed in record time, with a deal between Toyota and Tesla announced in May 2010 by respective CEOs Akio Toyoda and Elon Musk, the 2012 RAV4 EV will go on sale later this year in select California markets. 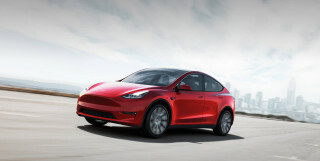 Tesla Motors [NSDQ:TSLA] engineered the lithium-ion battery pack, which has 41.8 kilowatt-hours of usable capacity and sits below the floorpan. 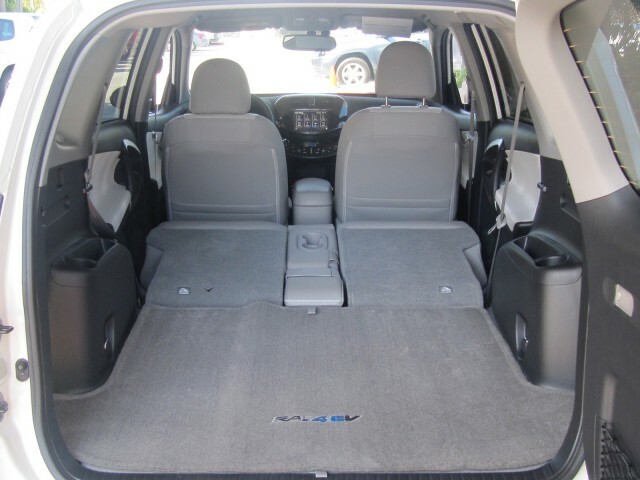 Ground clearance is consequently reduced by a couple of inches, but the RAV4's cargo space of 36.4 cubic feet is untouched--as is the rear-seat foot room. 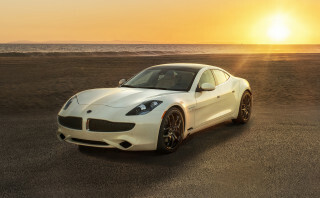 Tesla also provided the AC induction motor that powers the front wheels, which is the same unit used in the 2012 Tesla Model S electric sport sedan, but with a lower peak output of 115 kilowatts (limited not by the motor itself but by the pack power). 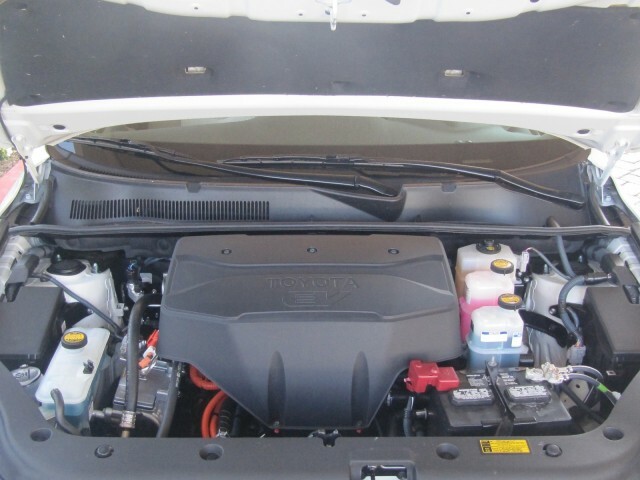 The drive motor, power electronics, and onboard battery charger are located under the hood where the engine and transmission used to sit. Despite the loss of those items, the RAV4 EV is roughly 470 pounds heavier than a front-wheel drive RAV4 Limited with the V-6 engine, rising to roughly 4,030 pounds. But it's the power that really impresses when you drive the RAV4 EV, which more or less uses the powertrain and battery capacity of the lowest-spec Tesla Model S with a 40-kWh battery pack. Toyota quotes less than 7 seconds from 0 to 60 mph in Sport mode and, more importantly--where it really counts in real-world usage--just 2.5 seconds to go from 30 to 50 mph. That's notably faster than the best V-6 version. 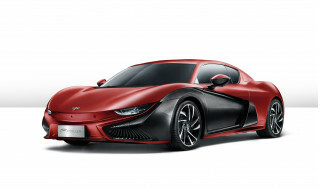 Top speed is limited to 85 mph in Normal mode, and 100 mph in Sport mode. 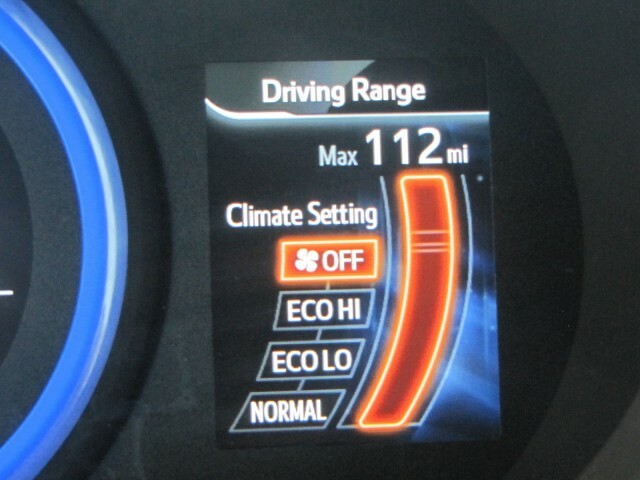 As in Tesla vehicles, there are a number of user-controllable settings. There are normal and Sport drive modes, for instance, the latter boosting your acceleration even if you keep your foot steady when you push the Sport button while underway. Then there are three climate settings: Eco-High, Eco-Low, and Normal. The Normal setting essentially replicates the maximum-blast behavior of a gasoline car's cooling and heating system--and it chews through range at a major rate. Eco-Low moderates that, and Eco-High is the least powerful climate setting, providing the most range. 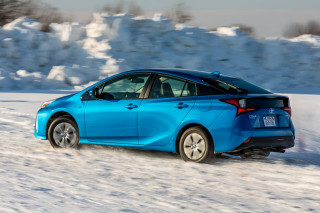 Toyota claimed that Eco-Low is enough to keep front-seat passengers comfortable, if not either chilly or toasty, on cold and hot days respectively. We were skeptical, but in fact in California coastal weather up to the low 80s, that proved entirely true with the fan on a lower setting. We didn't have any chance to test the car in chilly Northeastern winter weather--but then, it won't be sold there, so it's somewhat academic. 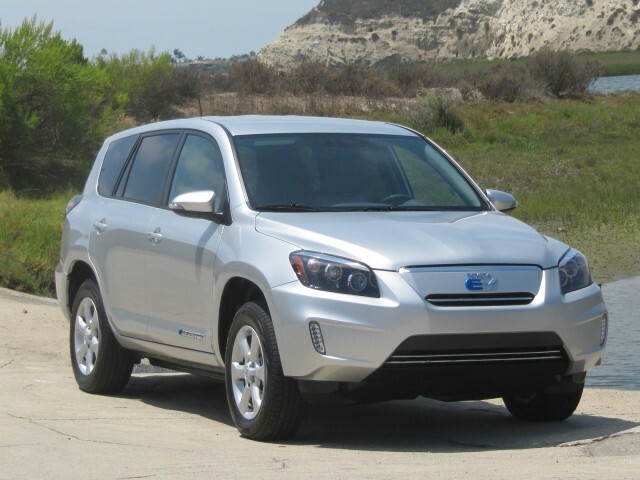 Perhaps the most significant aspect of the 2012 RAV4 EV, though, is its real-world range--courtesy of the relatively huge usable 42 kWh of the battery pack. 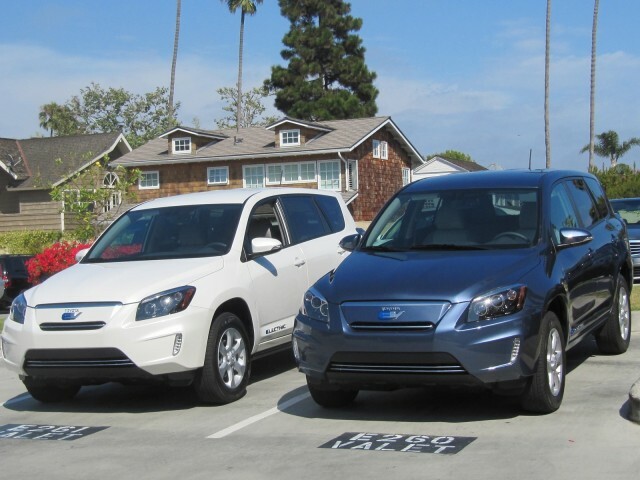 In an afternoon of driving two different electric RAV4s, we concluded two things. 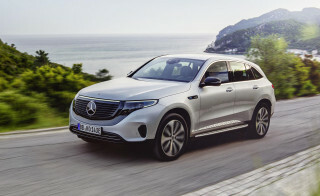 First, it's easy to get 100 to 115 miles of range no matter how you drive the car, in local stop-and-go or at legal freeway speeds and then some (given the general traffic flow in Southern California). Second, the Tesla/Toyota range estimator on the RAV4 EV is remarkably accurate, with the change to projected range usually no more than 1 mile different than the actual mileage covered. We didn't run any of our test cars down near 0 range, but Toyota assured us that there's a small margin even after the battery is shown as totally depleted. Range of 158 miles, RLY? Toyota estimates that in Normal charging mode--which doesn't charge the battery pack to 100 percent--the RAV4 EV has a range of 93 miles. If the owner needs more range and sets the electric RAV4 to "Extended Range" charging mode, that rises almost 20 percent, to 112 miles. Despite lengthy conversations with the EPA, though, Toyota was not able to convince the agency to let it list two separate ranges--so it expects the EPA-rated range to come in around 98 miles. Just for reference, with a fully charged pack and the ventilation turned completely off in one of our test vehicles, the range estimator said we had 158 miles. That's worth opening some windows for. The number fell to 92 when we touched the switch for Normal ventilation, rose to 111 on Eco-Low, and then 118 on Eco-High--which was where we left it. 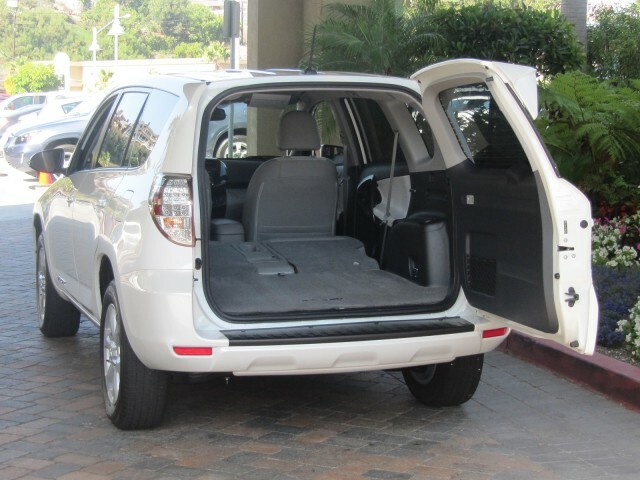 Unlike lesser battery electric cars whose onboard chargers are limited to 3.3 kilowatts (Nissan Leaf) or 6.6 kilowatts (Ford Focus Electric, Coda Sedan), the Tesla-designed charger in the RAV4 EV can charge at up to 10 kilowatts. That means owners will have a sufficiently beefy 240-Volt Level 2 charging station if they want to charge a fully discharged pack overnight. 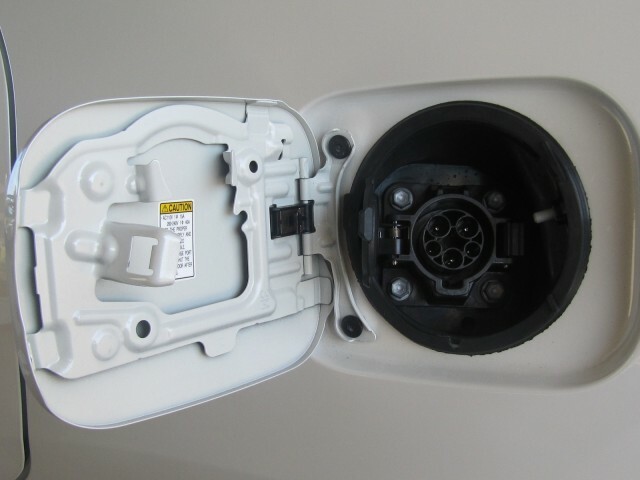 Toyota has arranged with Leviton to offer a custom charging station that delivers 9.6 kW at 40 amps, which will give you a recharge time of just 6 hours for the full pack. The price starts at $1,590 including basic installation. On the other end of the scale, charging at 110 Volts with the cord that comes standard under the rear deck is tortuous, with a full pack charge requiring far more than 24 hours. The motto: Big packs require special charging stations--which may require you to rewire your garage first. You have been warned. 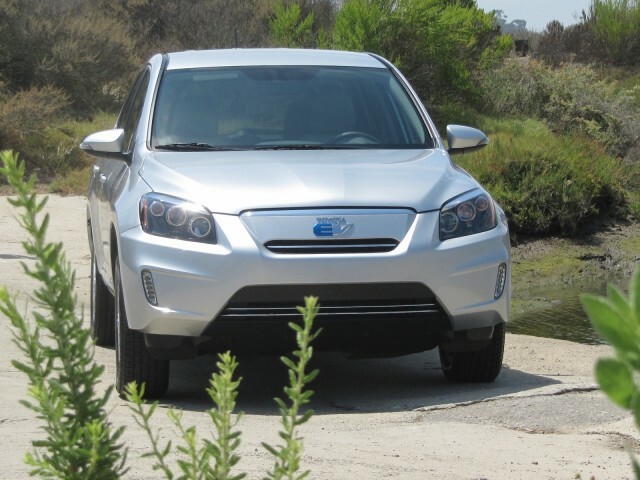 With the 840-pound battery pack as the lowest part of the vehicle, the handling of the Toyota RAV4 EV is good. Oddly, the lower center of gravity (as good as a sedan's, Toyota says) makes the tall crossover seating position feel higher than in the conventional vehicle. Toyota has re-weighted its electric power steering to give less assist on the highway and more assist at low speeds, where the extra weight demands it. The steering feel is less noticeably numb than on many other Toyota products, though there's still not a lot of road feel available. Overall, while the handling isn't as well balanced as our all-time favorite crossover, the 2013 Mazda CX-5, it's better than average for a compact crossover. 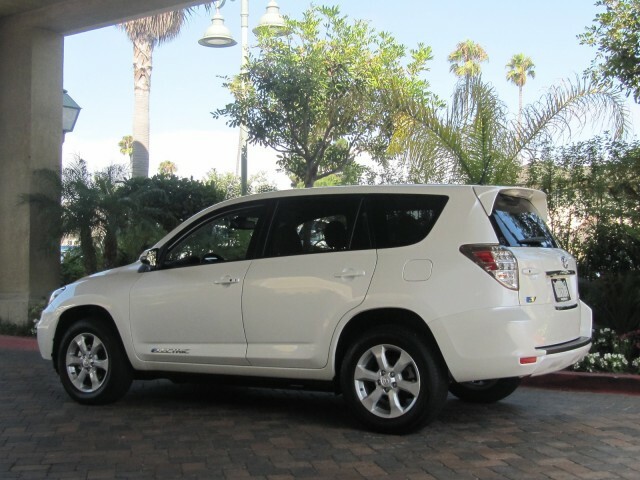 The 2012 Toyota RAV4 EV has the potential to be the best and most practical battery electric vehicle sold in the U.S. south of Tesla's luxury-priced Model S sedan range. 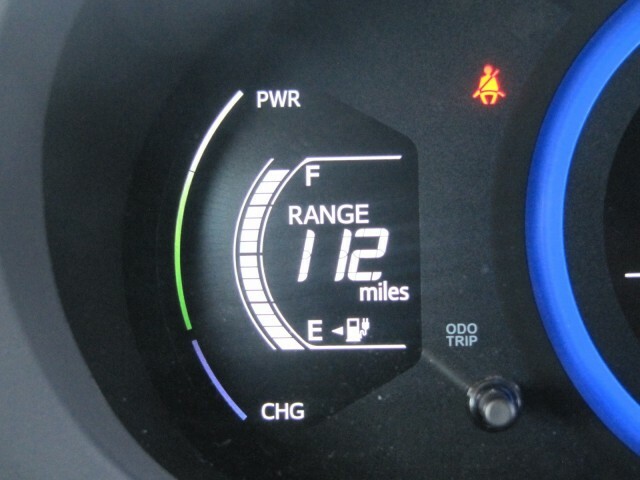 While the 2012 Nissan Leaf offers 73 miles of EPA-rated range and sacrifices some portion of that at freeway speeds, the RAV4 EV apparently hits the magic 100-mile mark, if not quite the 120 miles that many plug-in advocates feel is the real sweet spot. 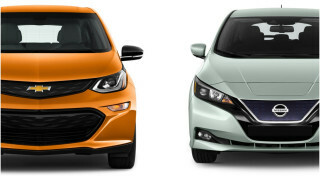 So now affluent, early adopter families can add an electric crossover to the list of plug-in cars to test-drive along with the Leaf, the Chevy Volt, and the Tesla Model S.
The electric RAV4 may also simply whet the market's appetite for the upcoming 2014 Tesla Model X crossover, complete with "falcon doors" and its 60- or 85-kWh battery pack options. 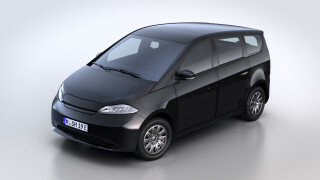 Which is why it's such a shame that so few of these will be built through the 2014 model year. We understand why; such a development partnership was a shockingly new and challenging way of doing business for both companies. 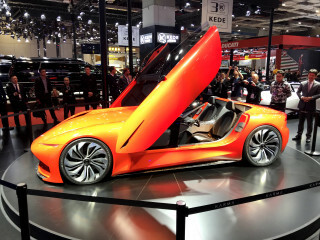 Both Toyota and Tesla are proud companies with set ways of designing, validating, and engineering cars for production. If you read between the lines when speaking to slightly tired-looking engineers, meshing those procedures in a single product team to get a car out the door in two and a half years was brutally hard. More importantly, industry scuttlebutt suggests that Toyota is still likely losing $10,000 or more on each RAV4 EV it sells. After all, if your CEO tells you to co-develop a car with Tesla, what incentive does Tesla have to cut prices on its battery pack and other components? But Toyota is justifiably proud of the RAV4 EV, if still slightly shell-shocked at the birth process. And 2,600 wealthy buyers who plunk down their $49,400 (before a Federal tax credit of $7,500 and California purchase rebate of $2,500) will be the beneficiaries. Toyota hasn't said whether it will offer a lease for the car, which it expects to go largely to retail buyers. 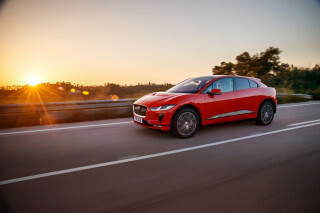 But given that the car may retain only 50 percent of its pack capacity over 5 to 8 years--largely depending on how it's driven and charged--there's an argument that a three-year lease might be about right. Toyota warranties the battery pack for 8 years or 100,000 miles, but that simply ensures that if the pack fails, it is covered. The warranty specifically does not cover any loss of battery capacity. 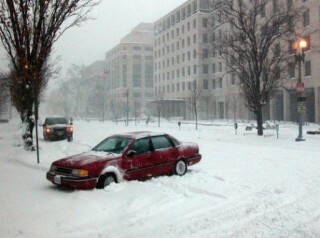 Toyota won't say. 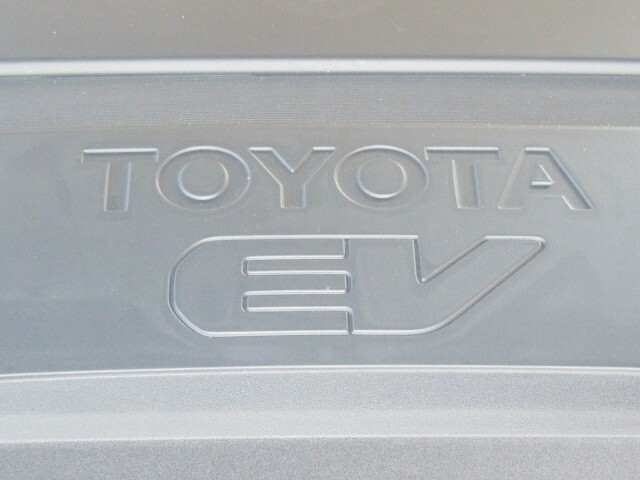 The company does hint that it'll be watching market reception of the RAV4 EV closely. So if you want an electric crossover with 100 miles of real-world range and surprising acceleration that has all the cargo space of the regular RAV4, now's your chance. 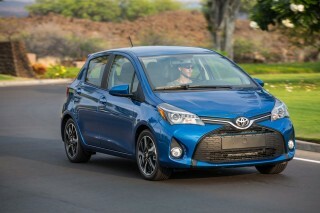 Toyota provided airfare, lodging, and meals to enable High Gear Media to bring you this first-person test drive.